This is Comfort Allen, brother to Ira and twin brother to Martin. He is my daughter's gg-grandfather. Comfort was in charge of making and tending the fire which inflated these smoke filled balloons. Comfort made the canvas balloons from strips of fabric sewn with their own sewing machines. Safety was a prime issue and making and repairing their own balloons and parachutes insured the best of all possible outcomes. Comfort ALLEN married Mary Anna LARRED (Laird) of England. Comfort was the son of Horatio and Martha "Patty" Allen of Vermont. 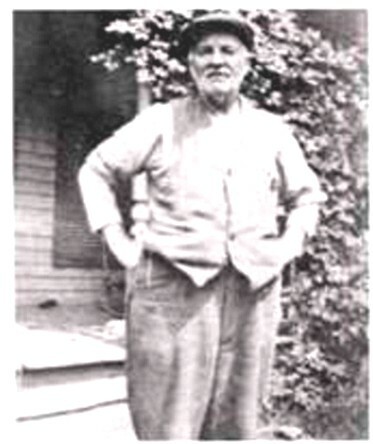 Photo - Captain Eddie Allen 1896 - 1989 at age 80 (son of Comfort).